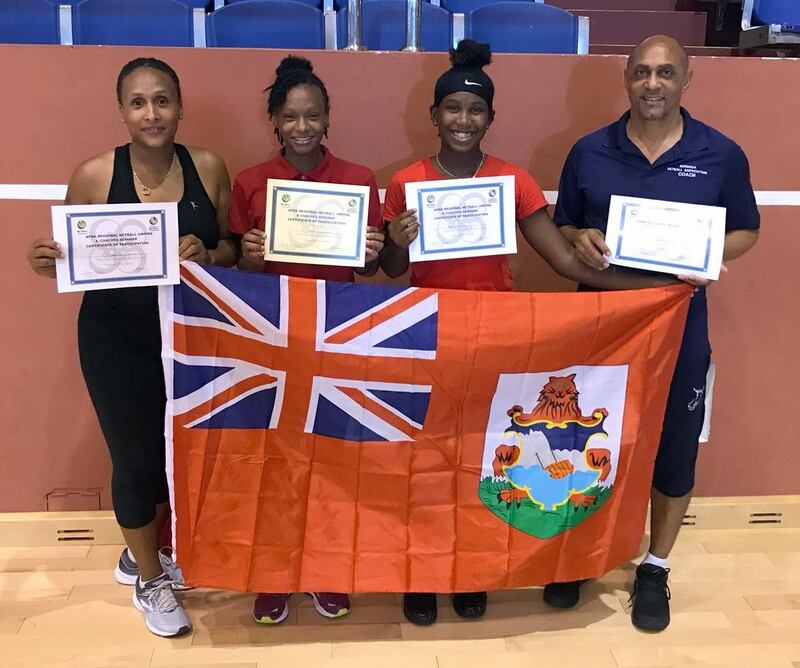 The Bermuda Netball Association announced that National Program Coaches and Players Chaquita Simmons, Anthony Mouchette, Coriah Simmons and Selah Tuzo participated in an umpire and coaching seminar in Barbados. The AFNA Regional Netball Umpire and Coaches Seminar was organized by Americas Federation of Netball Association (AFNA) and sanctioned by the International Netball Federation (INF). The Bermuda contingents successfully completed the seminar, which consisted of both theoretical and practical segments. Bermuda was commended for its forward thinking in having the youngest persons to participate in the seminar. Simmons and Tuzo are current members of the Under 16 National Training Squad and have been pegged as future leaders.